Nice quality table and stools,very sturdy. we added a glass top to protect the wood. Give your home a new, contemporary look with this Amisco Perry and Cameron stool and table set. 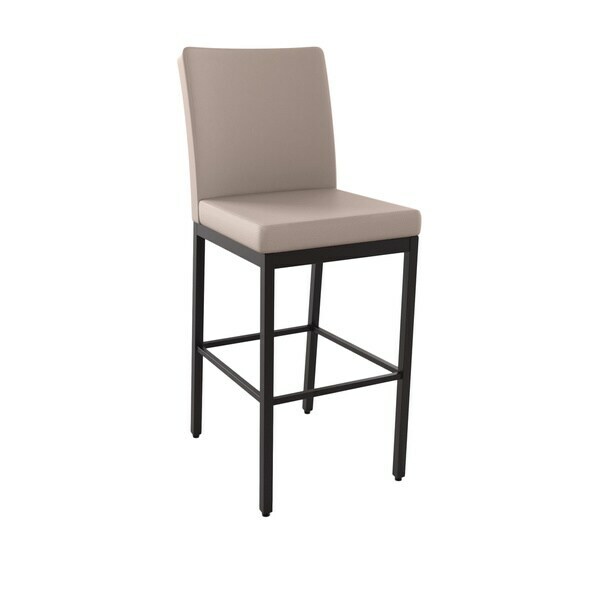 The dark brown table and grey stools complement each other to give you a contrasting, unique look. This set is perfect for your eating area or just a side table with seating. Dimensions 36.0 In. X 36.0 In. X 37.0 In. "So is this more black or brown? The legs look black and tabletop dark brown. Is that correct? Are legs steel and top wood?" The metal color is a dark brown with the table top being a lighter dark brown. The legs are made of steel with an ash veneer table top.